Talk Title: A Prescription for Healthy Aging: Manage your Metabolism, Lift Weights, Eat Less and Avoid Injury. For the past three decades, Lisa Lynn has served as not only a fitness and weight loss coach and expert, but also an advisor to celebrities and leaders around the country. She has become a recognized authority on the metabolic issues that affect our bodies, as well as the psychology of the power of our beliefs as it pertains to physical, mental and spiritual health. These forces can transform lives, not just the body. Lisa is highly skilled at family fitness, fitness therapy, peak performance, and teaching people how to stand up to cancer. She has been awarded consistently for her miraculous physical turnarounds and humanitarian endeavors. 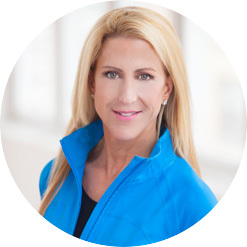 Lisa has directly impacted the lives of people from all over the world with her metabolic boosting weight loss products, best-selling books, multimedia, fitness and wellness events, and public speaking engagements. Lisa’s burning desire to help suffering people began from her personal struggle with food, weight, depression and body image issues. Helping others in pain has become her lifelong passion and personal mission, striving to help as many people as possible improve the quality of their lives. Lisa is called on by ordinary people, from every walk of life. Celebrities, CEOs, stay-at-home moms, religious leaders, Olympic level athletes, world-class entertainers, professional musicians, teachers, servicemen and women—All call on Lisa Lynn. Lisa has produced the highly efficient LynFit Metabolic Boosting System that allows her to reach more people regardless of where they live. LynFit includes weight loss and nutrition products, such as whey protein shakes, lean protein bars. Safe supplements that boost metabolism and improve health. Lisa is a multiple award-winning author. Her published books include The Metabolism Solution, Win the Fight: Stomp Out Melanoma, and The I Love My Body Book — with more on the way. She has written various manuals and brochures that she makes available to her clients to assist their weight loss and fitness journey. Lisa has been featured in major media including The Martha Stewart Show, Dr. Oz Show, Meredith Vieira Show, William Shatner’s Moving America Forward, TBN, Fox & Friends, FOX, NBC, CBS, NBC, CBS Evening News, NBC News, ABC’s Prime Time Live, and FOX News, among others. Radio is one of Lisa’s favorites as she can ride her spin-bike while being interviewed. She is regularly heard on One Life Radio, The Naked Doctor, Tom Joyner Morning Show, Growing Boulder, Wellness for Life, Sirius Radio, and the Cancer Support Network. Lisa’s work has been published in Cosmopolitan, Men’s Health, Live Strong, First for Women, Woman’s World, and Prevention Magazine. In 2014, Lisa received a Young, New Entrepreneur Award from William Shatner. Lisa’s passion and commitment to creating an everlasting “Healthy is Happy” legacy that impacts the world is surpassed only by her passion for her family as a mother of two children and four rescue dogs, and loving wife to Jeffrey Lynn of 25 years. There was no audio after 13 minutes into the webinar.